Publisher’s summary: No one survives the Fade. They have taken everything, destroyed everything. The only safe place left is within the wall of light called the Arclight. No one survives the Fade. If they call you, if you leave, you're lost. Marina survived the Fade . 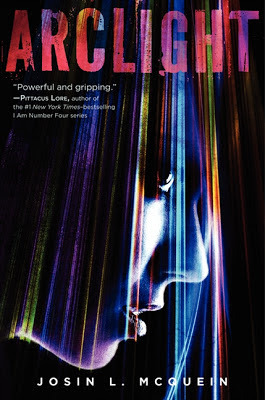 . .
My take: The moment I saw the cover of Arclight I was really intrigued and could hardly wait to read this one! And I actually ended up really liking it! I had the ARC but I ended up listening to the audio on Audible. Throughout the story every scene moves smoothly and kept me entertained. There were just a few things that I had troubles with. Once we start to get a feel, or start to see a picture of The Fade, I had a hard time visualizing them in my mind. And then, when we finally do learn a lot more about The Fade, the new information just kept messing with the image that I already created in my head. Hopefully, we will get a clearer picture of The Fade in the following books. My only other problem is that I listened to Arclight pretty much right after I listened to Mila 2.0, and there were a few similarities (not much really) between the two books and the Narrator for both books is the same. I’ve listened to another book read by Tara Sands and she’s a really good Narrator, but I just felt like these two books had a similar feel to them. (Of course, the only reason I may have noticed these similarities is because I listened to both books back-to-back.) Other than those two things, I really liked this book. 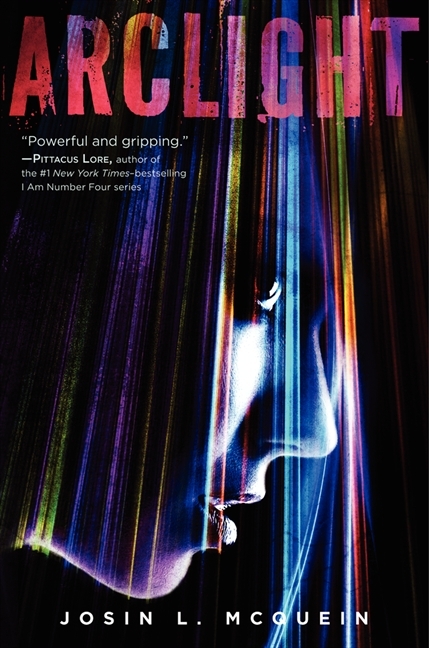 The paranormal/dystopian aspect to Arclight is very different from everything else out there and I really liked this aspect of the book. I’m really looking forward to the next book so I can learn more about The Fade.